While blocking histamines and avoiding the substances are common practice, they are not address¬ing the root cause. Just as the majority of an iceberg is submerged underwater, the most important contribut¬ing factors for allergies are hidden from sight. 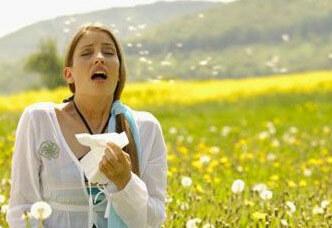 Allergies are an over-reaction of the immune system to harmless substances. While blocking histamines and avoiding the substances are common practice, they are not addressing the root cause. Just as the majority of an iceberg is submerged underwater, the most important contributing factors for allergies are hidden from sight. Addressing allergies begins with recognizing that the allergen is a triggering factor to an over-reaction of the immune system. According to Biological Medicine principles, this reaction is an indication of a severely disturbed internal milieu, compromised intestinal mucous membranes, and a weakened bacterial colony. Destruction of the intestinal mucous membranes results in the destruction of the Peyer’s patches and stunts the villous (villi and microvilli) folds. This further result in decreased IgA and IgG and Peyer’s patch defense cells (T3 and T4). 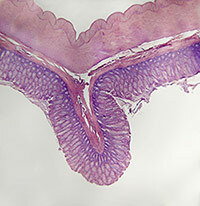 Intestinal immunity makes up 90% of the immune system, hence plays a large role in allergy symptomo-logy. Restoration of the intestinal mucosa should include acid-base balance to reduce hyperacidity of the milieu, support digestive functions and promote healthy symbiotic bacterial colonies. Allergens should be identified and avoided, in addition to removing histamine-rich foods and following a hypo-allergenic diet. Resolving intestinal dysbiosis will modulate allergic tendencies and promote a balanced symbiosis of the bacterial colonies. Another consideration for allergies lies in the body-mind connection. From the psychoenergetic perspective, Dr. Reimar Banis, MD, ND relates allergies to psychological hypersensitivity, with long-term oppressive, denial of power, and discouraging situations weakening the immune system (supported by psychoneuroimmunology). His clinical experience also indicates that intestinal dysbiosis, the intestinal flora and hyperacidification must be addressed for the successful treatment of allergies. Below the surface, allergies are a greater indication of a disturbed internal milieu. Reduction and elimination of allergies can be achieved through emotional detox, acid-base balance, replenishing intestinal flora, and improving regulation of the intestinal mucous membranes to support a strong immune system. Basictab – 3 tabs twice daily with warm water on an empty stomach. 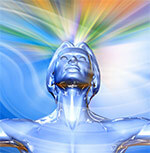 Probiotic 7-in-1 – 1 cap three times daily. The Right C – ½ -1 tsp twice daily mixed in water, juice or a smoothie.